Feel like you're back in the classroom! If you want to connect with a small group of fellow HBS alumni in an intimate and thought-provoking conversation followed by a larger discussion with professor Moss, you'll want to sign up for this event. The HBS Club of South Florida cordially invites you to join Professor David Moss for an in-depth exploration of the past and future of American democracy. This exclusive club event will give you the opportunity to read one of 19 cases featured in his new book, Democracy: A Case Study, a collection of cases focused on pivotal moments throughout American history. Experience American history anew and come away with a deeper understanding of our democracy's greatest strengths and vulnerabilities as well as its extraordinary resilience over time. South Florida alumni will meet in small groups to discuss one of David's cases and to prepare for the webinar session with David on May 11, 2018 from noon until 1 pm. Cases will be provided to participants ahead of time and study groups are expected to convene to discuss the case prior to the discussion with professor Moss on May 11. The club will assist in organizing study groups based on geographic location and, if necessary, will also help with scheduling the study group sessions. 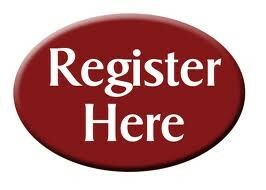 You do not have to be a member of the HBS Club of South Florida to register and attend. David Moss - David Moss is the Paul Whiton Cherington Professor at Harvard Business School, where he teaches in the Business, Government, and the International Economy (BGIE) unit. He earned his B.A. from Cornell University and his Ph.D. from Yale. In 1992-1993, he served as a senior economist at Abt Associates. He joined the Harvard Business School faculty in July 1993. Professor Moss's early research focused on economic policy and especially the government's role as a risk manager. He has published three books on these subjects: Socializing Security: Progressive-Era Economists and the Origins of American Social Policy (Harvard University Press, 1996), which traces the intellectual and institutional origins of the American welfare state; When All Else Fails: Government as the Ultimate Risk Manager (Harvard University Press, 2002), which explores the government's pivotal role as a risk manager in policies ranging from limited liability law to federal disaster relief; and A Concise Guide to Macroeconomics: What Managers, Executives, and Students Need to Know (Harvard Business School Press, 2007), a primer on macroeconomics and macroeconomic policy. In addition to these books, he has authored numerous articles, book chapters, and case studies, mainly in the fields of institutional and policy history, financial history, political economy, and regulation. Over more recent years, Professor Moss has devoted increasing attention to questions concerning government regulation, economic inequality, and democratic governance. One notable article from 2009, "An Ounce of Prevention: Financial Regulation, Moral Hazard, and the End of 'Too Big to Fail'" (Harvard Magazine, Sept-Oct 2009), grew out of his research on financial regulation for the TARP Congressional Oversight Panel. He has also co-edited three volumes on economic regulation since 2009, including most recently Preventing Regulatory Capture: Special Interest Influence and How to Limit It, co-edited with Daniel Carpenter (Cambridge University Press, 2014). Professor Moss's latest book, Democracy: A Case Study (Harvard University Press, 2017), grew out of a course he created for Harvard undergraduates and business school students on the history of American democracy. Both the course and the historical case studies on which it is based are now being brought to high schools as part of the High School Case Method Project, which Professor Moss oversees at Harvard Business School.